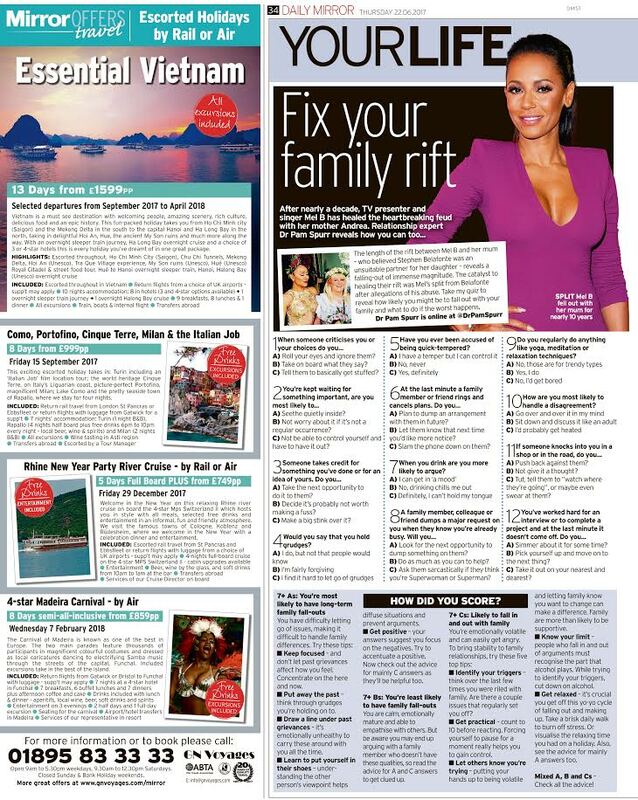 The Daily Mirror asked me to write a quiz about family rifts – they're far too common! And seeing as Mel B has patched things up with her mother - after a decade(!) - that's good news that anyone can heal a rift.